Sydney Shop Girl: Happy Blues. It's October. Already. Blue was definitely today's colour. The happier spectrum of blues, that is. 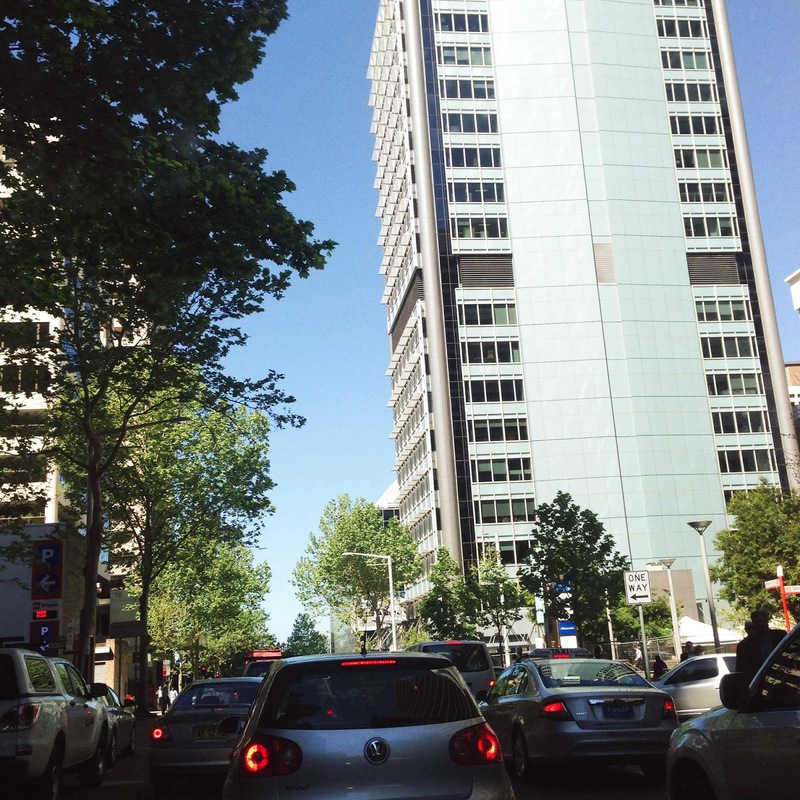 The skies over North Sydney were a perfect Pantone 292U (by my eye) this afternoon as I drove down Berry Street to finally get my tax return done. It's so leafy and peaceful here I sort of had workplace envy of all the office workers I saw strolling out for lunch and coffee on their breaks. What was less joyful was my parking fee. It would've been cheaper to splurge on a return taxi trip. I'll remember for next time. 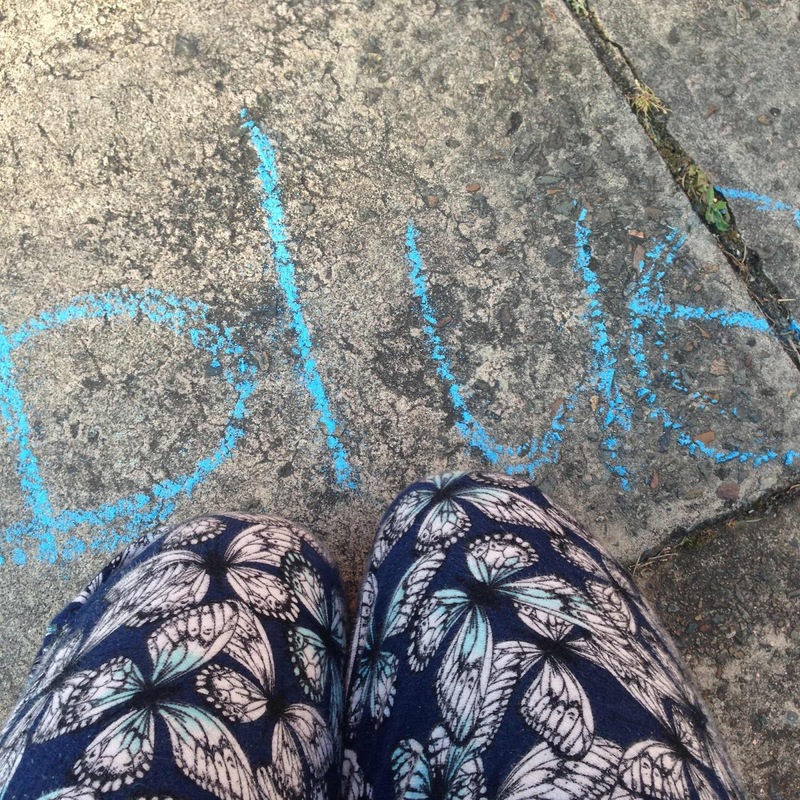 I'm going to break free from the Pantone classification system and call the shade of this chalk a day glow blue. There's nothing like getting in touch with your artistic side first thing in the morning. Outdoors and in your pyjamas. It was all going so well and I was so very full of love for days off, crisp spring mornings, sunshine and ultra rapid three asana yoga home practice that I took the silence for granted. Readers, beware the triad of sidewalk chalk, quiet toddlers and car exhaust pipes because this is what you get when you combine the three. 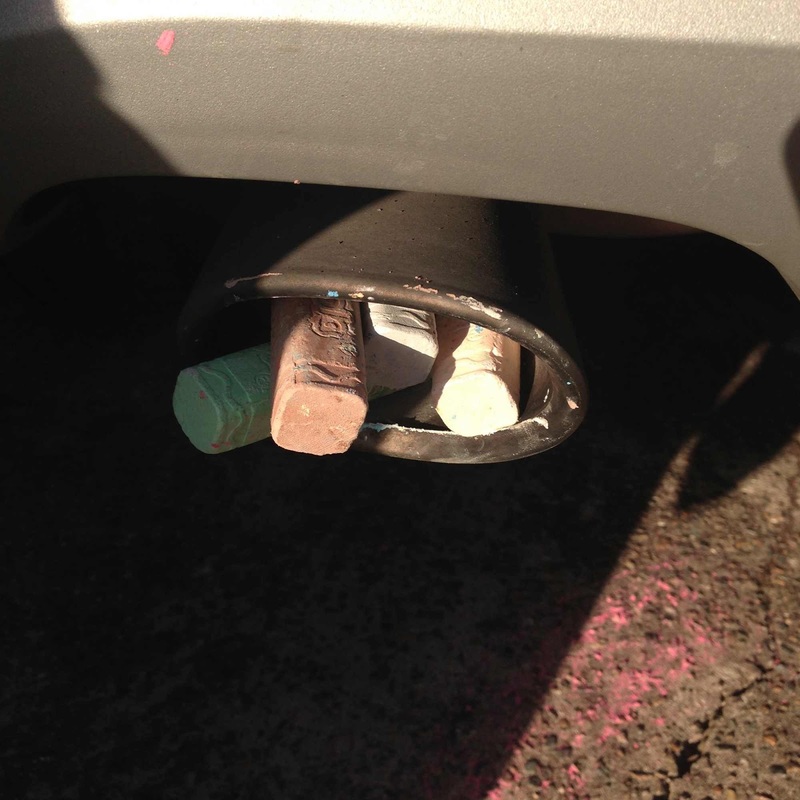 The risk of rainbow coloured exhaust fumes (or an explosion). The exhaust pipe chalk sticks in more innocent and wholesome times. 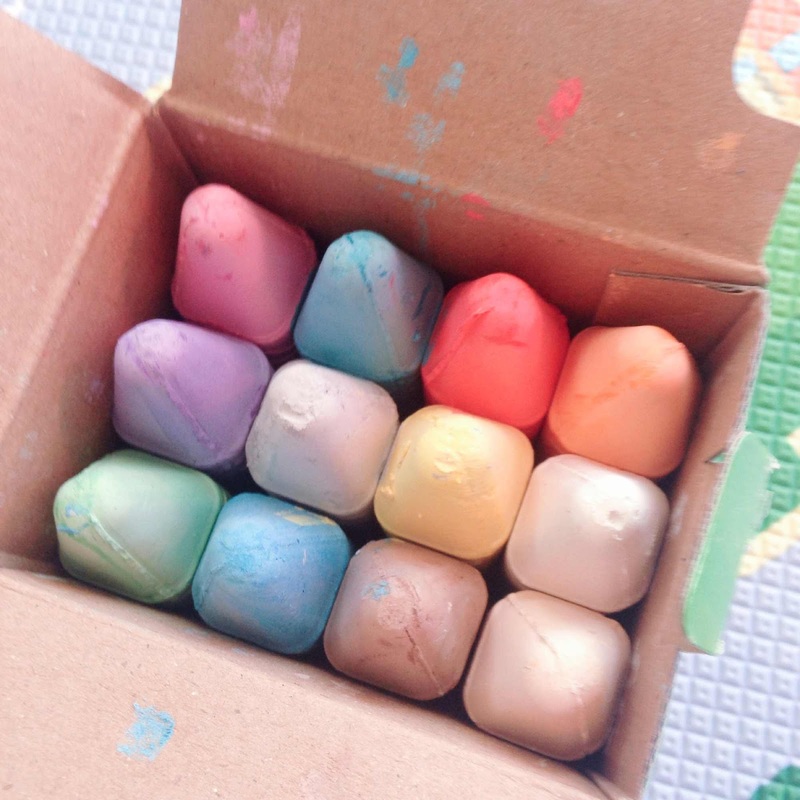 Mild panic ensued when I realised that the arrangement was actually two sticks of chalk deep. I fished out what I could and did a quick head count with this photo for reference and then shone a powerful torch up the pipe to make sure. I'm laughing now but it was a bit nerve wracking starting the engine that first time post chalk retrieval. There's still a rainbow of chalk markings around the pipe and on the bumper which I guess is one way of making sure I don't lose the car at the work multi storey tomorrow. I'm happy to report that my stick on PayPass tag works through my iPhone cover. 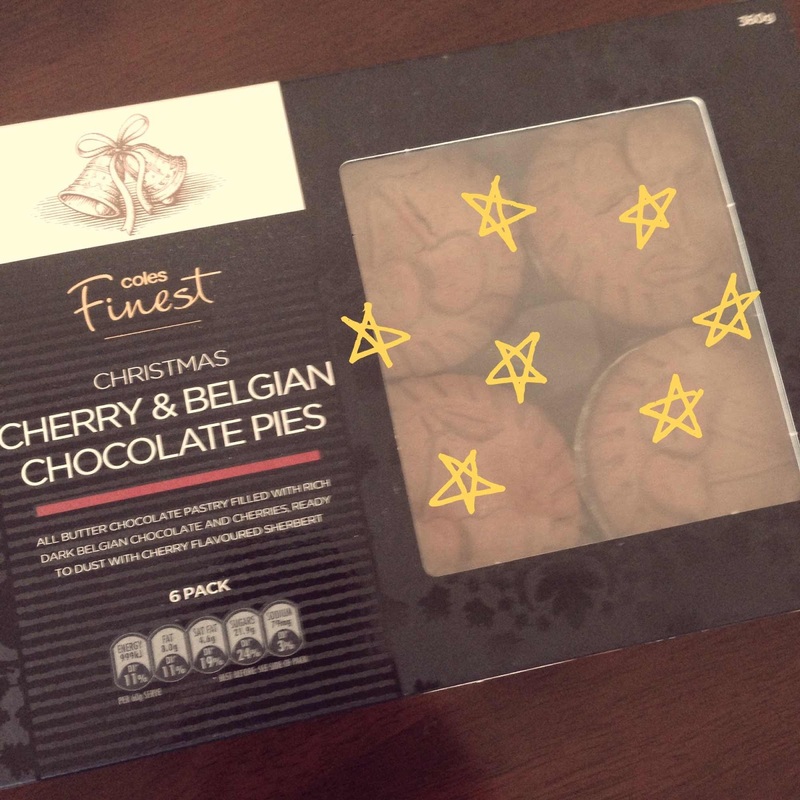 And that my first purchase with the tag were these Cherry and Belgian Chocolate pies from Coles. They come with a sachet of cherry sherbet to sprinkle over the freshly warmed pies. They're $9 for a half dozen and for those of us burnt by the recent Coles Fresh Baked Instore debacle, these are made in New Zealand. I know. I should be waiting until at least Decemebr 1 to be hitting the Christmas baked goods but these are such a reinvention of fruit mince pies that they're not strictly a Christmas baked good (see how small the word 'Christmas' is on the front of the box?). I'll report back after the weekend. Ah, the weekend. 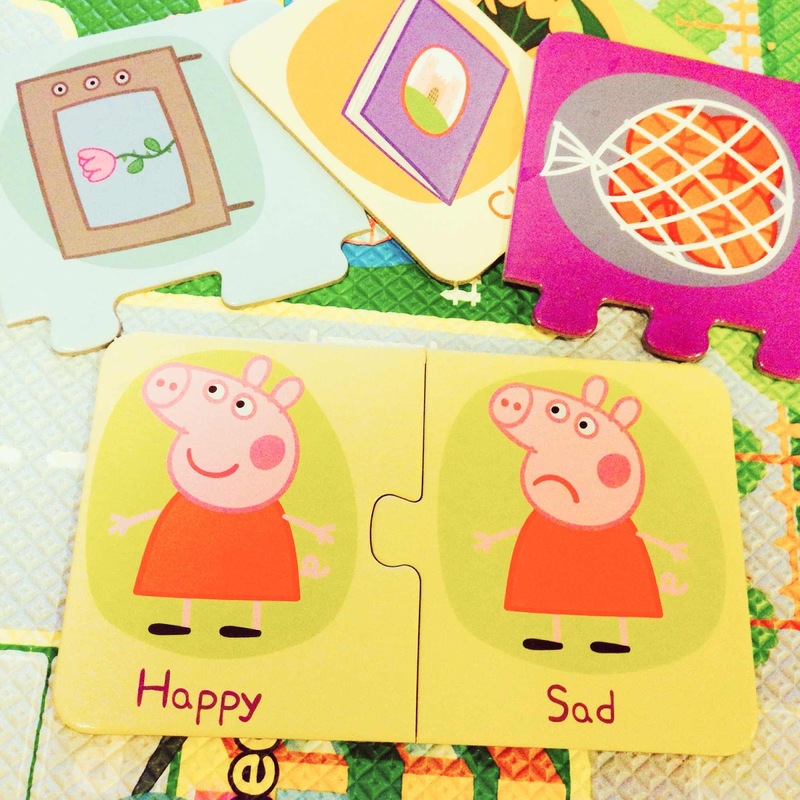 It's definitely going to be happy, thank you Peppa Pig Opposites Puzzle Cards. The forecast is for hot, sunny days which means afternoons at the park trying to be sun safe. So I'll be wearing my Costco Booney Hat and sharing it with the toddler because he'll refuse to wear his. By the way, looking forward to wearing those Havs in .... 17 days. Where has the time gone? It goes by faster each year and the moment October rolls around the year kind of feels over already. Over in a good way as things wind down at work and everyone gets excited about the summer and Christmas. But I digress, here's hoping you have a great weekend. A long one even on the east coast. May you get a chance to get out in the sun and possibly barefoot for a bit. Looking for danishes in Coles I was told that they had been recalled due to dissatisfaction with the recent Australian made ones!